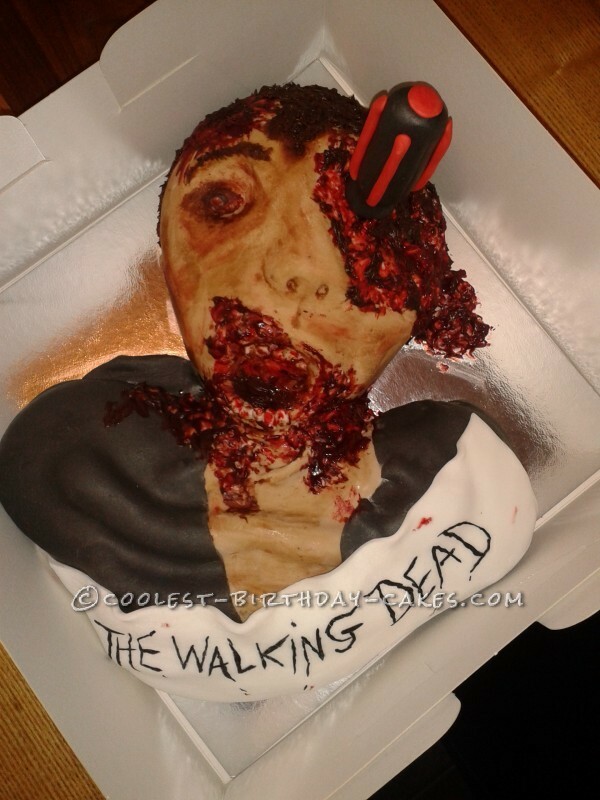 This zombie cake is for a fan of the Walking Dead! The zombie came to life when the blood colored butter cream was added. He is made from chocolate sponge and vanilla butter cream. 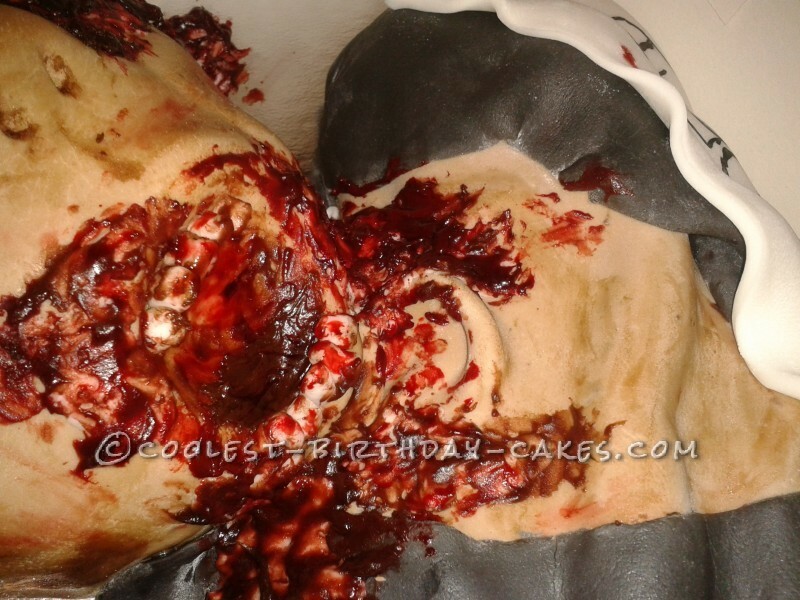 First I molded the the cake to the shape I wanted and then covered with flesh colored royal icing. I kept adding brown and pink food coloring to the royal icing to get to the flesh color I wanted. I then covered his chest with black colored royal icing and added a white royal icing banner and sketched the words ” THE WALKING DEAD” with a fine paint brush using food coloring. The screw driver is all made from royal icing and a wooden kebab stick was used to support it through the middle to achieve the 3D effect. 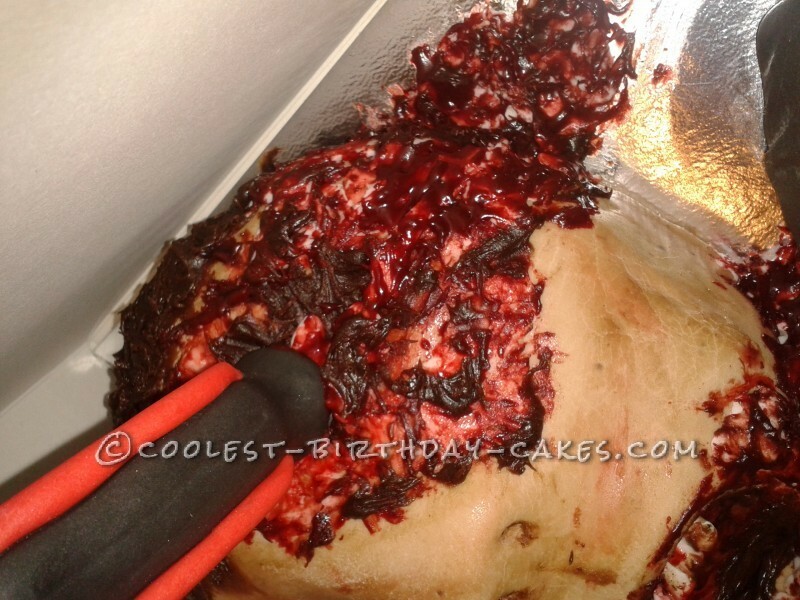 The blood and bits of messy flesh are all a mix of butter cream and colors to get the thicker mess! I was really pleased the way this turned out (only my 10 year old daughter may have nightmares, she tells me this is so real looking its scary! ).